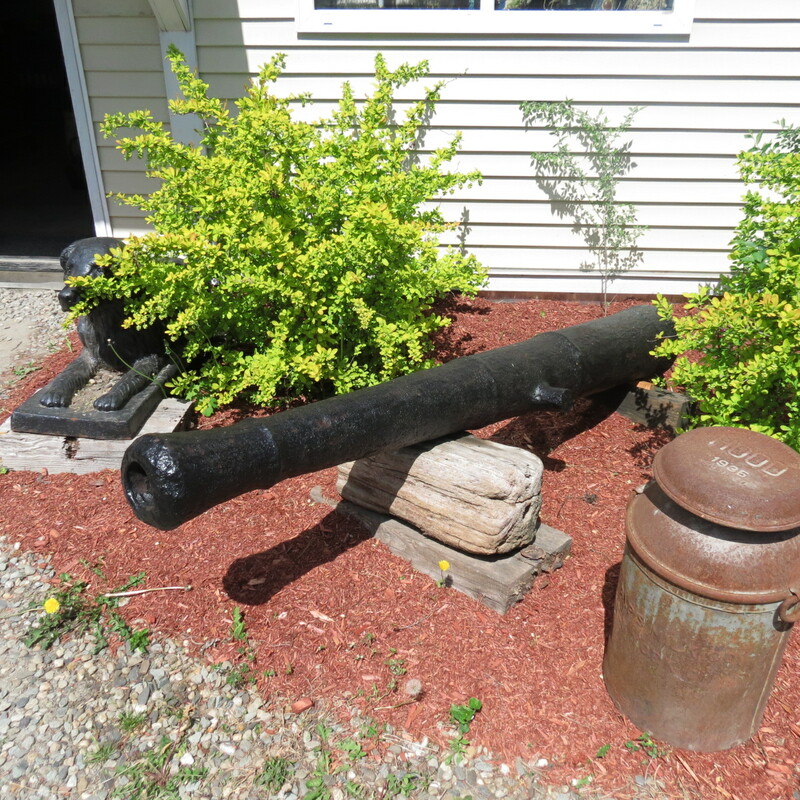 Rare, period, cast iron cannon from the Revolutionary war period..
Weighs about 1,800 pounds and the barrel holds approximately an 8 pound cannon ball. The trunnions are cast into the body of the cannon in one piece. 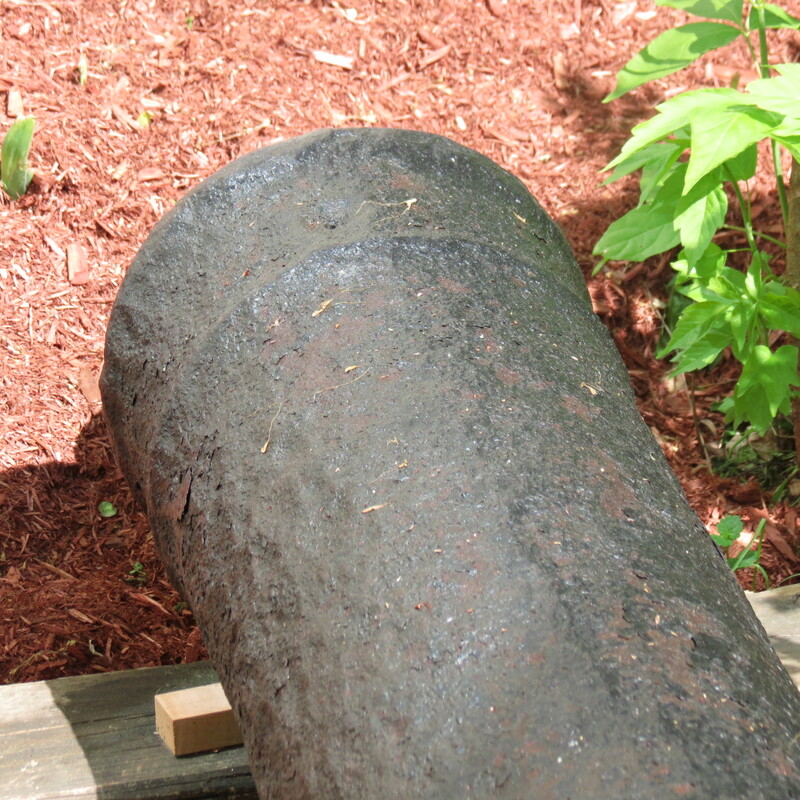 In past history, it was told that the cannon was found in the York River by a diver from Upstate New York. This great piece measures about 83" long, the inside of the barrel measures about 65" long, the barrel is from 6 1/2" to 10" wide and with the trunnions measuring 15" wide. The cannon is in good condition There are no visible marks on the cannon that we could find. 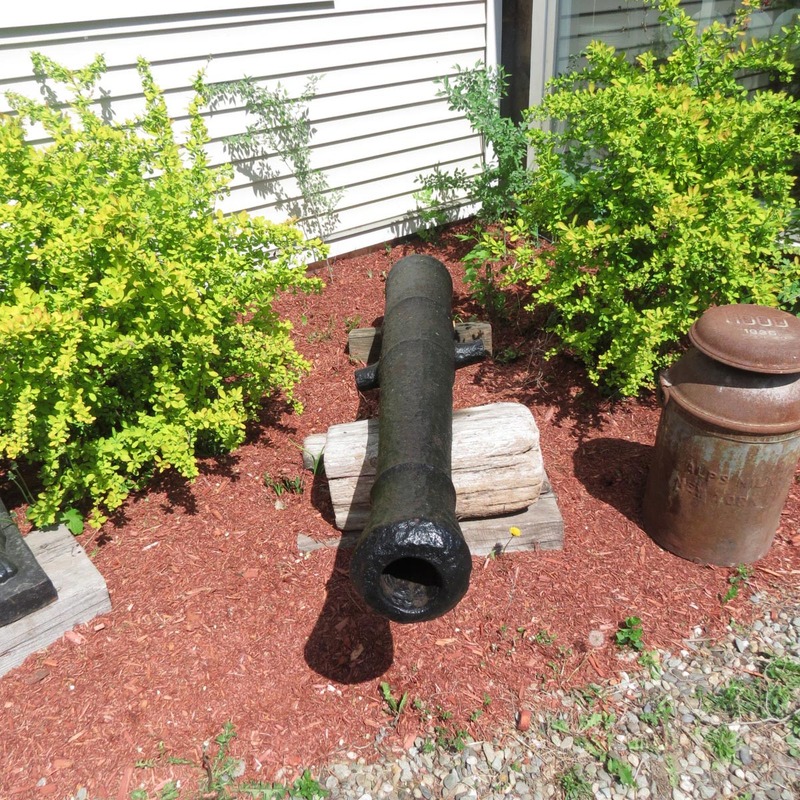 Rare, period, cast iron cannon from the Revolutionary war period.. Weighs about 1,800 pounds and the barrel holds approximately an 8 pound cannon ball. The trunnions are cast into the body of the cannon in one piece. 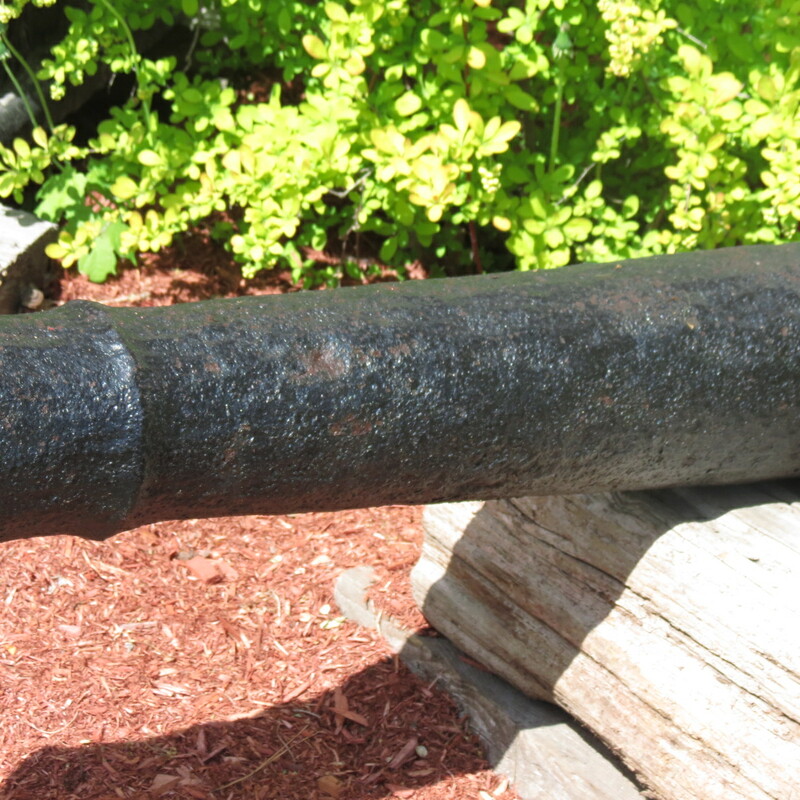 In past history, it was told that the cannon was found in the York River by a diver from Upstate New York. This great piece measures about 83" long, the inside of the barrel measures about 65" long, the barrel is from 6 1/2" to 10" wide and with the trunnions measuring 15" wide. The cannon is in good condition There are no visible marks on the cannon that we could find.